Can i upgrade my PSU to a corsair CX500? CX500 is not an upgrade it has LESS Power than the Dell 305W. CS750M would be an upgrade that works and fits. EVGA 750B1 or 750G1 also fits. 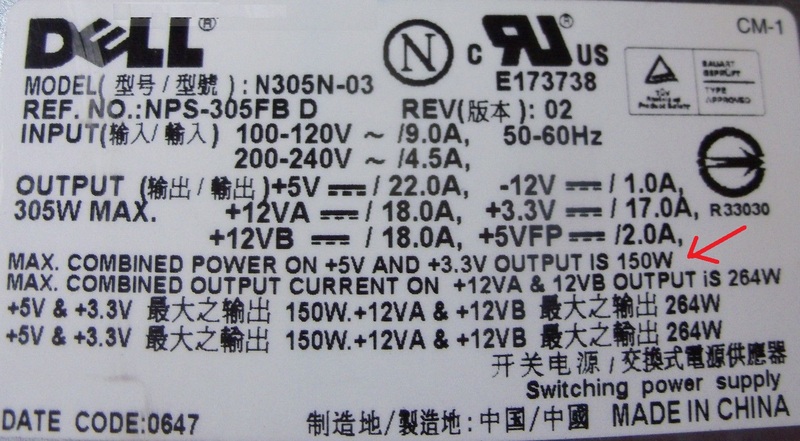 You need 15W minimum on +5V SB and 150W on the combined 3.3v/5v rails. And im looking for one that is between 50-60 pounds. I also need a PSU with wattage between 400-500. Thats why i looked at the CX500 as it says it has 500w. But thats not an upgrade from my 300W?